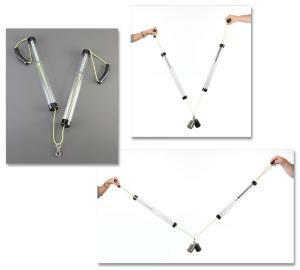 Two 70 cm long spring scales allow students to easily see and demonstrate force experiments and equilibrium. When a mass is hung midway between the two springs it causes equal displacement in each spring. If the mass is hung off–center, the two springs are elongated different distances. Displacement measurements can be easily assessed using the metric scale on the tube. 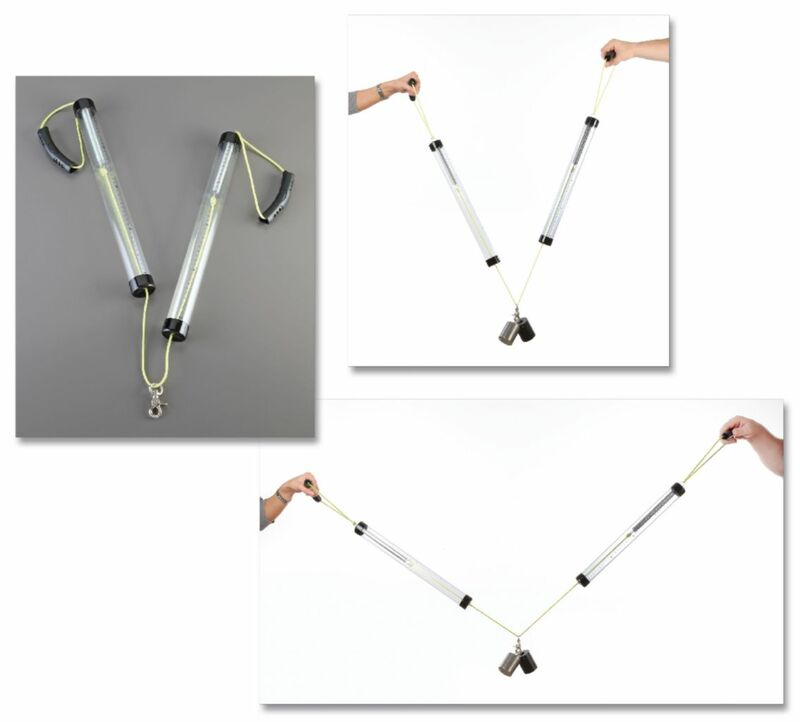 Includes two large spring scales, a connecting rope with hook, and a fully–detailed demonstration guide. Each spring has a constant of approximately 78 N/m. Masses are not included.